Masternodes require regular maintenance to ensure you do not drop off the payment queue. This includes promptly installing updates to Dash, as well as maintaining the security and performance of the server. In addition, masternodes should vote on proposals and perform other tasks in the interest of the network and the value of the Dash they hold. The Dash Core software requires regular updates in order to remain consistent with the current network consensus. 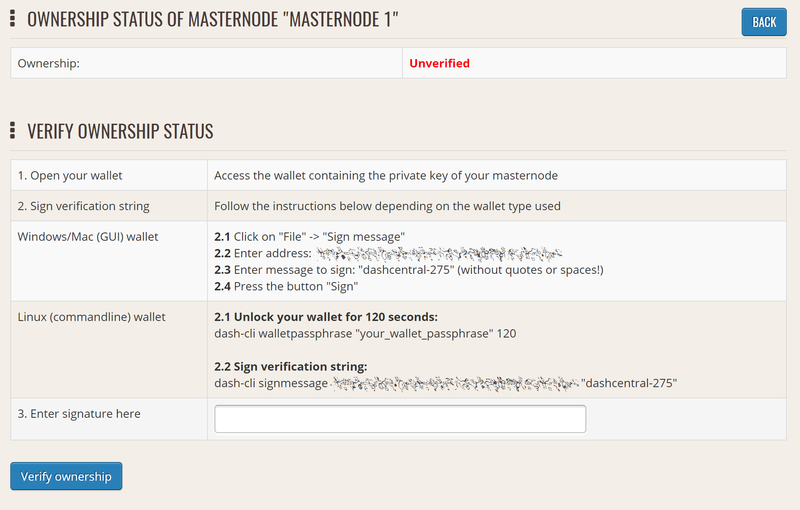 Depending on whether you installed Dash manually or using dashman, you must follow the procedure appropriate for your masternode, as described below. The Dash software on the masternode is now updated. 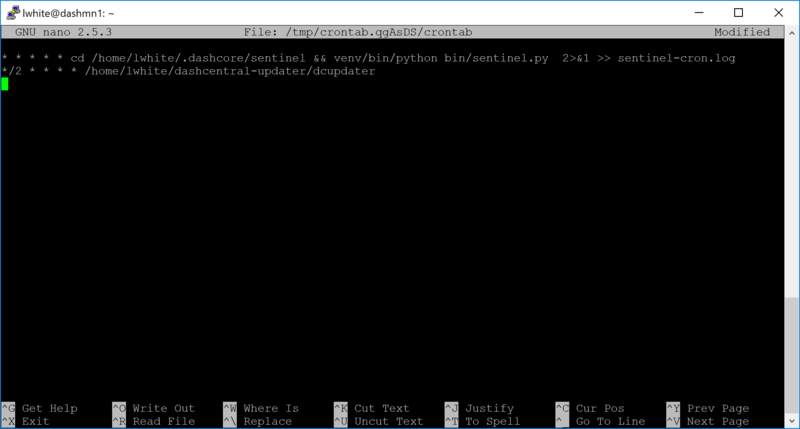 Finally, uncomment the line to automatically restart Dash in your crontab by invoking crontab -e again and deleting the # character. Periodically, it may be necessary to update masternode information if any information relating to the owner or operator changes. Examples may include a change in IP address, change in owner/operator payout address or changes to the nominated voting/operator keys. It is also possible to revoke a masternode’s registered status (in the event of a security breach, for example) to force both owner and operator to update their details. operatorPayoutAddress (optional): The address used for operator reward payments. Only allowed when the ProRegTx had a non-zero operatorReward value. feeSourceAddress (optional): An address used to fund ProTx fee. operatorPayoutAddress will be used if not specified. The masternode is now removed from the PoSe-banned list, and the IP:port and operator reward addresses are updated. feeSourceAddress (optional): An address used to fund ProTx fee. PayoutAddress will be used if not specified. 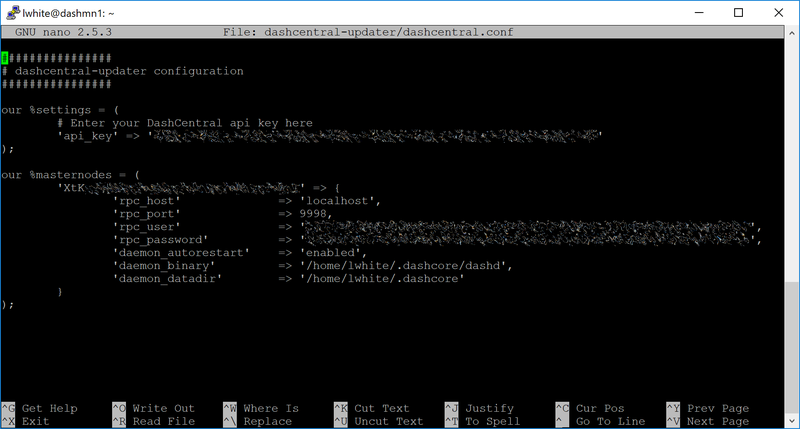 DashCentral is a community-supported website managed by community member Rango. It has become a de facto site for discussion of budget proposals and to facilitate voting from a graphical user interface, but also offers functions to monitor masternodes. Click Add masternode. 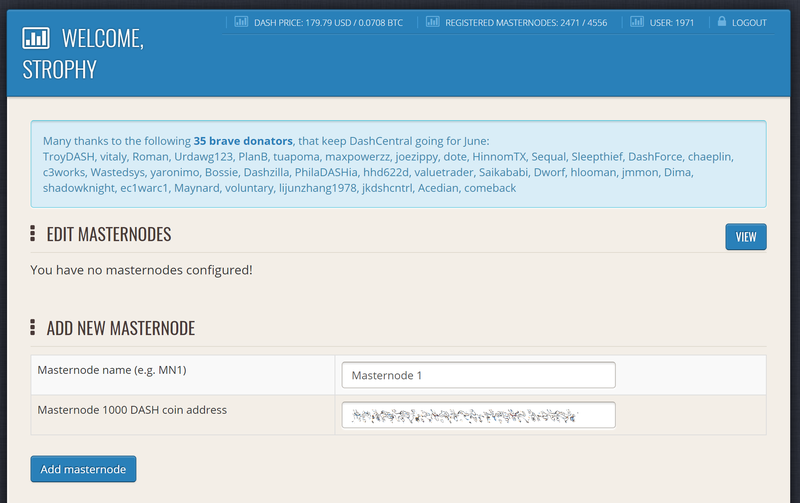 Your masternode has now been added to DashCentral. It is important to note that the private key to start your masternode is unrelated to the private keys to the collateral address storing your 1000 DASH. These keys can be used to issue commands on behalf of the masternode, such as voting, but cannot be used to access the collateral. The keys are encrypted on your device and never stored as plain text on DashCentral servers. Once you have entered the key, click Store encrypted voting privkeys on server. You can now vote on proposals from the DashCentral web interface. Click Sign, confirm on your Trezor device and enter your PIN to sign the message. A message signature will appear in the Signature box. 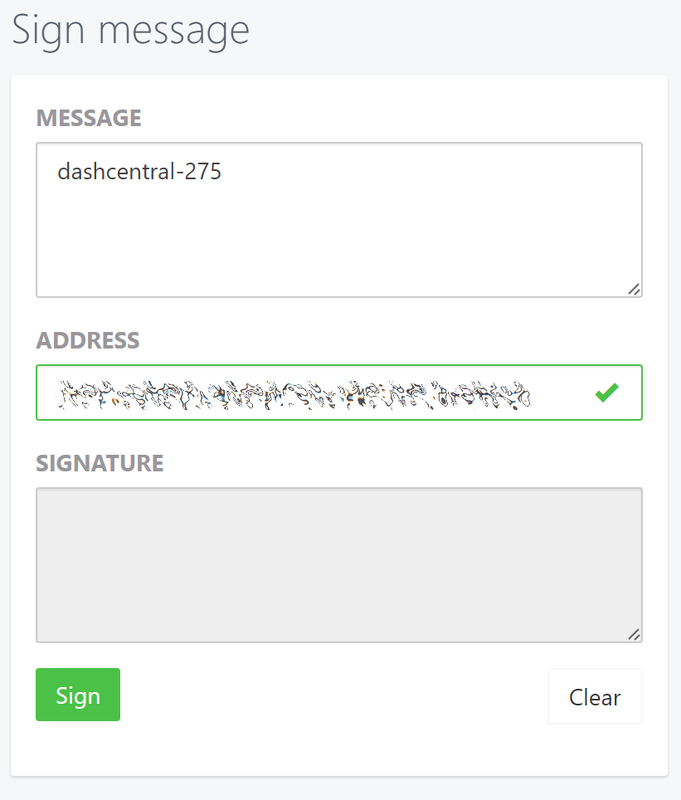 Copy this signature and paste it into the box on DashCentral and click Verify ownership. Verification is now complete. Press Ctrl + X to exit, confirm you want save with Y and press Enter. 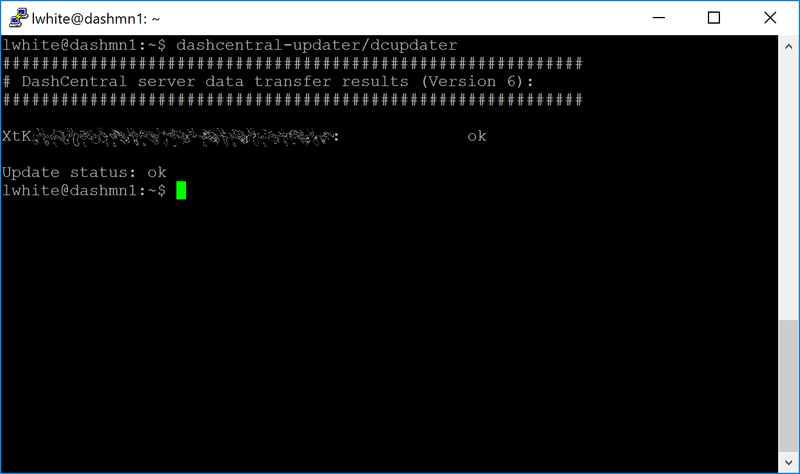 The dcupdater script will now run every two minutes, restart dashd whenever necessary and email you in the event of an error. Several sites operated by community members are available to monitor key information and statistics relating to the masternode network. Since Dash is a public blockchain, it is possible to use block explorers to view the balances of any Dash public address, as well as examine the transactions entered in any given block. Each unique transaction is also searchable by its txid. A number of block explorers are available for the Dash network. Blockchair offers a block explorer with detailed visualizations to analyse the Dash blockchain. CryptoID offers a Dash blockchain explorer and a function to view and map Dash masternodes. BitInfoCharts offers a page of price statistics and information and a blockchain explorer. CoinCheckup offers a range of statistics and data on most blockchains, including Dash. CoinPayments offers a simple Dash blockchain explorer. Dash.org includes two blockchain explorers at explorer.dash.org and insight.dash.org. Written and maintained by community member Bertrand256, Dash Masternode Tool (DMT) allows you to start a masternode from all major hardware wallets such as Trezor, Ledger and KeepKey. It also supports functions to vote on proposals and withdraw masternode payments without affecting the collateral transaction. DASH Ninja, operated by forum member and Dash Core developer elbereth, offers key statistics on the adoption of different versions of Dash across the masternode network. 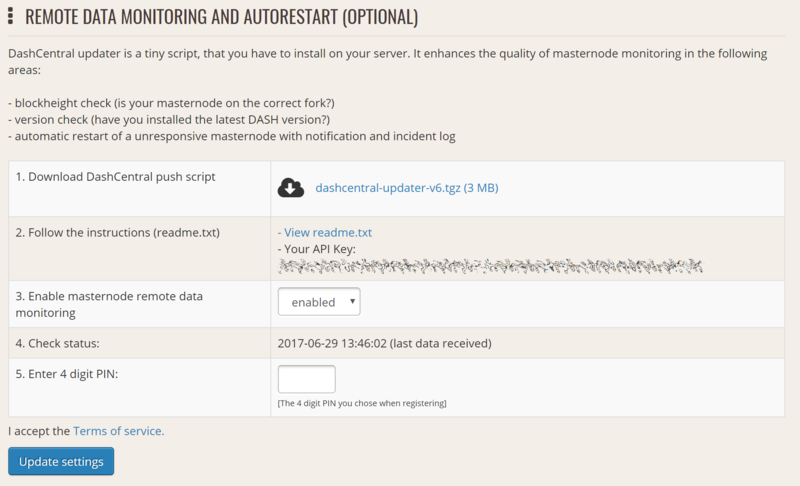 Several features to monitor governance of the Dash, the masternode payment schedule and the geographic distribution of masternodes are also available, as well as a simple blockchain explorer. DashCentral, operated by forum member rango, offers an advanced service to monitor masternodes and vote on budget proposals through an advanced web interface. An Android app is also available. 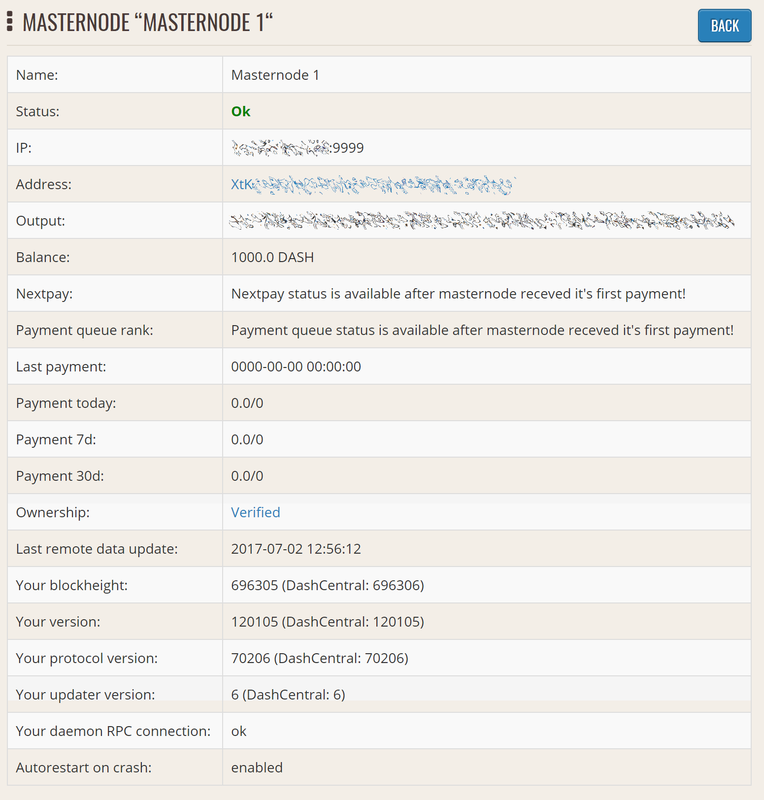 Masternode.me, operated by forum member and Dash Core developer moocowmoo, offers sequential reports on the price, generation rate, blockchain information and some information on masternodes. This site, operated by forum member and Dash Core developer crowning, offers a visual representation of many key statistics of the Dash masternode network, including graphs of the total masternode count over time, price information and network distribution.